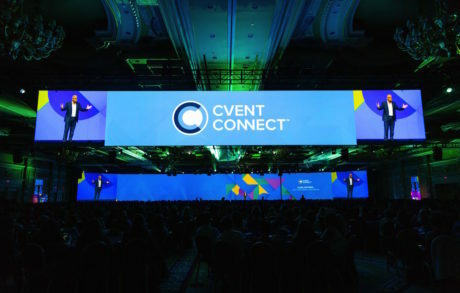 PHOENIX – When the general session of Cvent CONNECT 2018, the world’s premier event technology conference, was held in the Palazzo Ballroom of The Venetian Hotel in Las Vegas, the expansive on-stage displays were driven by a Christie® Spyder X80 multiscreen windowing processor. High Resolution Engineering in Phoenix partnered with AV Concepts in Tempe, Arizona to provide screen switching solutions and signal management for the conference where meeting and event professionals came together to strengthen the industry and advance their careers through innovation. 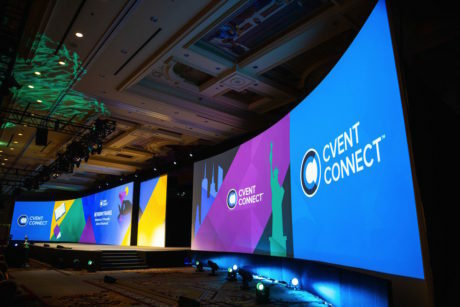 AV Concepts marked its fifth year furnishing AV services for the general session and the Cvent CONNECT trade show. High Resolution Engineering has long maintained a rental inventory of Christie products; the company recently added two Spyder X80s fully loaded with 24 inputs and 16 outputs. 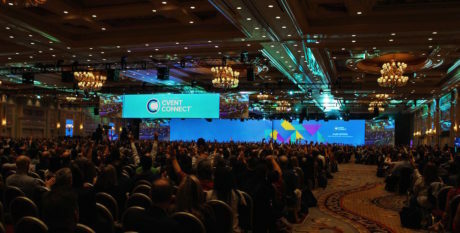 The general session stage featured a wall-to-wall, 200 x 18-foot curved screen using a seven-projector blend of 4K content. The screen was composed of sliding panels, some of which opened to reveal a hologram screen. Full-screen graphics were shown for the conference opening with speaker support from IMAG bookending the curved screen. A wide-screen delay screen was elevated in the middle of the house. Another plus was the X80’s multi-viewer feature. It allowed High Resolution Engineering’s Spyder engineer to supply four fully customized multi-viewers for himself and others to confidently monitor and manage the show. “Although major upgrades have been made from the X20, the Spyder X80 software, “Spyder Studio” has maintained the programming workflow and look and feel so it’s very easy for X20 operators to get into the new system and learn it very quickly,” Taylor adds.